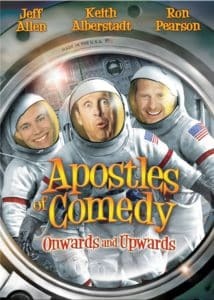 You are here: Home / Comedy / What comedians have been on the Apostles of Comedy? Dreaming of a unique comedy tour, a group of top rate comedians came together to form The Apostles of Comedy. Comprised of five talented artists this clean comedy video series has showcased some of the best comedy performers in the industry. This diverse group of entertainers offers an array of styles and personalities which appeal to fans around the world. Their onstage antics have delighted sold out audiences and resulted in two dvds. 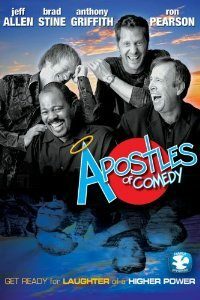 Between them, the Apostles of Comedy bring decades of experience in all facets of comedy, including comedy clubs, corporate events, political rallies, television specials, feature films, books, and magazines. Known for their self-depreciating humor, hilarious family stories, and unique outlook on life, the guys keep audiences laughing from the time the show starts until long after the last curtain falls. These talented artists truly understand the art of stand-up comedy and deliver some of the best entertainment in the business. Success can be a fleeting goal for many stand-up comics, but not if your name is Brad Stine. Brad’s experience spans multiple platforms and has made him one of the most sought after comedic talents in the country. A veteran of the comedy stage, Brad Stine has also brought his high energy performance to TV news shows, movies, and magazine articles. With his outlandish social commentary and unique take on modern events, Brad’s act always feels fresh and relevant to audiences. Star of film, stage and television, Ron’s real specialty is in the field of corporate comedy. 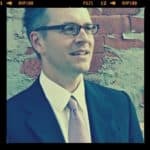 Nominated as Corporate Comedian of the Year, and winner of three Telly Awards, Ron Pearson has performed at events hosted by numerous Fortune 500 companies around the world. His quick wit, and ability to keep an audience laughing has also earned him a role on several TV sets as a warm-up comedian. In his stage show, Ron incorporates not only stand-up comedy but also juggling, balancing, and physical gags as well. Known for his audience interaction, Ron Pearson brings the audience literally into his act, creating not just a performance, but a full entertainment experience. If sarcasm had a poster boy, it would be Jeff Allen. With his unique look at everyday life, Jeff manages to find humor in the most peculiar situations. From roasted chicken projectiles to three-legged attack dogs, Jeff’s stories and observations leave audiences howling with laughter. Along the way, Jeff Allen infuses heartwarming anecdotes and a self-depreciating humor that endures him to his fans. Once you’ve seen Jeff’s act, you’ll never look at life quite the same way again. Anthony’s relatable brand of humor has touched audiences for over thirty years. As a veteran of the stage and television, Anthony Griffith has built a reputation for bringing warm-hearted stories that both delight and inspire. Diagnosed with Multiple Sclerosis over twenty years ago, Anthony has not let the diseases slow him down. As an advocate for MS, Anthony now encourages others facing this disease to live a happy and fulfilling life though the joy of laughter. Anthony continues to bring his message of joy through laughter to audiences around the world. The quick wit and sarcastic outlook that might have ruffled a few feathers in his youth now makes Keith Alberstadt one of the most entertaining comedians in the business. Performing in numerous clubs, TV specials, and late-night shows, Keith has developed a loyal legion of fans during his career. Some of Keith’s biggest fans are not in the studio or the club but are overseas serving in the United States Armed Forces. To date,Keith Alberstadt has performed eight comedy tours for troops stationed overseas, with shows in Afghanistan, Iraq, Kuwait, and throughout the Middle East. With his unique delivery and stage presence, Keith puts on one amazing show. Finding the right comedic formula is a difficult challenge that few do well, but The Apostles of Comedy have proven to be masters of it. While each is a standout star in his right, once their collective talents are combined into a single show, the results are a comedy genius. When this group comes together to take the stage, magic truly happens. Regardless of the type of project, you have in mind; this group can help make it a success.